Although many large dairy corporations have been investing in plant-based milk over the last few years, the U.S. government keeps trying to save the dying dairy industry. America’s largest dairy company, Dean Foods, issued a notice to dozens of dairy suppliers that it would end their contracts after May 31. A surplus of raw milk at a time when the public already is consuming less fluid milk and companies assertively entering or expanding their presence in the milk processing business have exacerbated an already tenuous situation in a highly competitive market. According to a 2013 USDA report, dairy consumption has been on the decline for decades, with each generation consuming less milk than the one before. In fact, dairy consumption has fallen a whopping 40 percent since 1970. Dean Foods must know that the future is vegan. It’s one of many companies taking steps to adapt to the consumer shift away from animal products. Recently, food giant Danone, famous for its yogurt, invested nearly $60 million in a plant-based beverage facility in Mount Crawford, Virginia. Like Dean Foods, Danone dropped its animal-based dairy brand Stonyfield. Although many large dairy corporations have been investing in plant-based milk over the last few years, the U.S. government keeps trying to save the dying dairy industry. Just last month the Senate signed a budget agreement to hand over $1 billion of taxpayer money to dairy farmers. And in 2016 the USDA bought 11 million pounds of cheese—20 million dollars’ worth—because no one wanted it. While dairy consumption continues to decline, the plant-based market is thriving. A report by the Plant Based Foods Association and The Good Food Institute shows a more than 20 percent increase in purchases of dairy alternatives, such as vegan cheese, ice cream, and yogurt, for a total of over $700 million in sales. 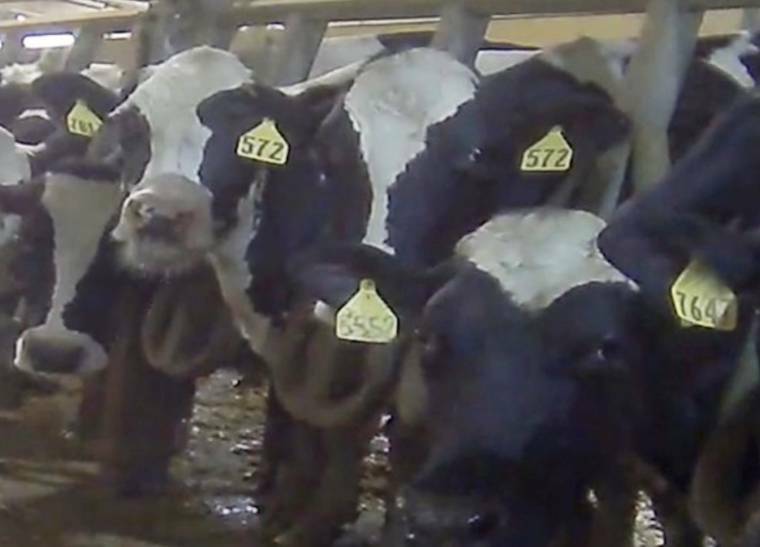 The decline in dairy consumption is great news for cows, who are treated as mere milk-producing machines at factory farms, forcibly impregnated and kept in terrible conditions. Calves are torn away from their mothers shortly after they are born. Male calves are killed for veal. Females are forced into the dairy herd, trapped in a cycle of abuse for years until they are considered “spent” and sent to slaughter.